There are express trains running between Prague and Bratislava 8 times a day (204 km, 2 hours 45 minutes.). 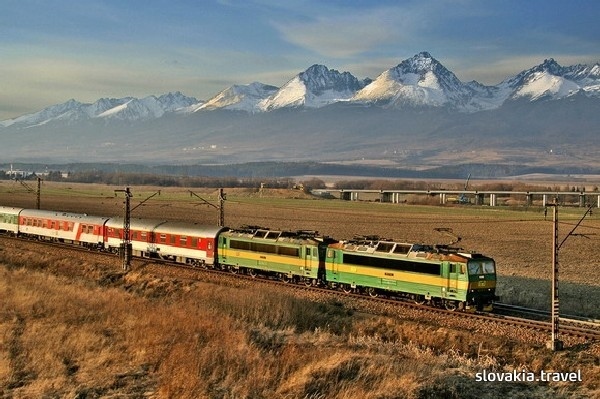 From Prague you can take a direct train to Tatras, Košice (4 times a day, 700 km, 8 – 10 hours), Žilina (14 times a day, 450 km, 5 – 5 hours 30 minutes) and Banská Bystrica (2 times a day, 550 km, 7 – 8 hours). 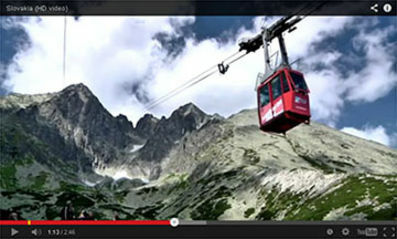 If you are not in a hurry, you can also use romantic local connection through mountain farming area of Myjava (Veselí nad Moravou – Nové Mesto nad Váhom). Passenger train also run through Vlársky priesmyk, Horní Lideč, or Mosty u Jablunkova. 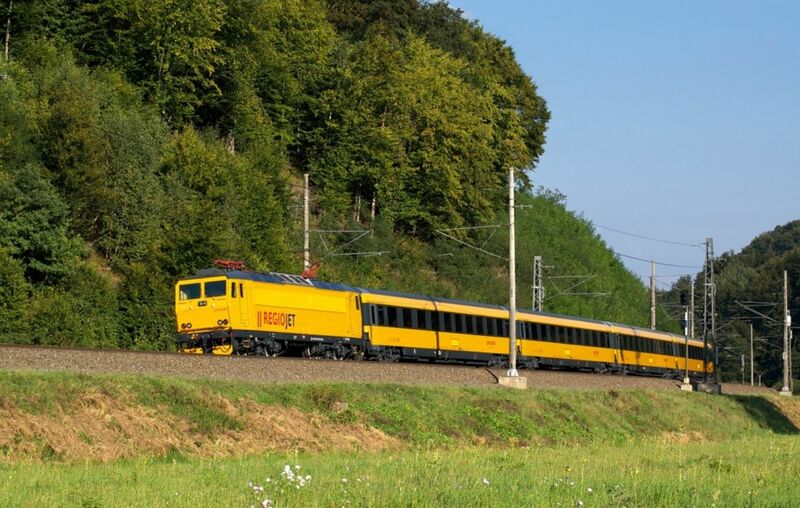 You can now also reach Slovakia by the yellow RegioJet trains that run every day on the route Prague – Ostrava – Žilina – Košice and back (9 hours). There is a train running from Budapest to Bratislava 8 times a day (204 km, 2 hours 45 min. ), to Košice 2 times a day (270 km, 3 hours 30 minutes).